Looking for Ways to Stay Involved? Or Looking for Internships? Check out the information below. The opportunities range from those that can be pursued during state office to after state office is completed. Keep in mind that for most of these, being a state officer is not a requirement for the position but adds to an individual’s qualifications. General descriptions and timelines are listed below; use the links to find out more. 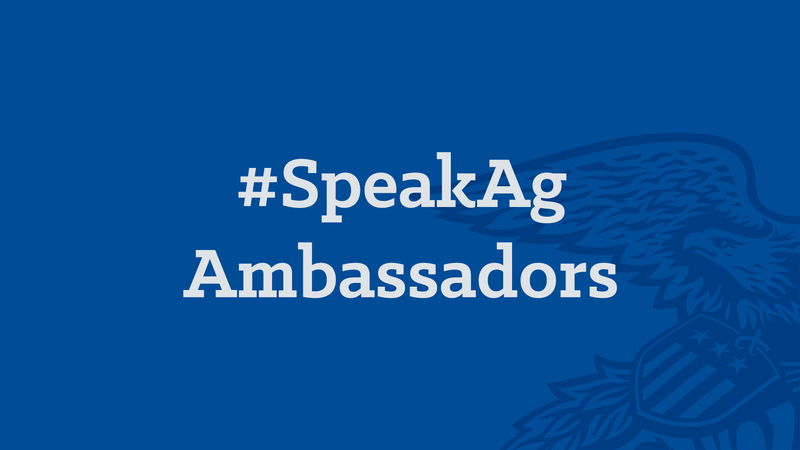 Each year (July-July), 8 current state FFA officers are hired to serve as ambassadors of National FFA’s literacy and advocacy for agriculture, food, and natural resources platform. Responsibilities include, but are not limited to: distributing agricultural literacy and advocacy resources to local FFA chapters, state FFA associations, and communities; updating others on current agricultural issues through social media; hosting workshops around agricultural literacy and advocacy; and participating in a quarterly working group with national FFA staff. A required training is generally held in August (exact dates will be on the job posting) and is funded by National FFA. Applicants must also be able to attend the National Agriculture Day Student Program in Washington, D.C. in March (travel paid for) and potentially the National FFA Convention & Expo in Indianapolis in October. Applicants selected for this position will be ineligible to run for National FFA office. Application requirements generally include an online application, and approval from FFA state staff. Hiring for this position usually occurs in July and notification will be no later than Aug. 1. More information and link coming soon. 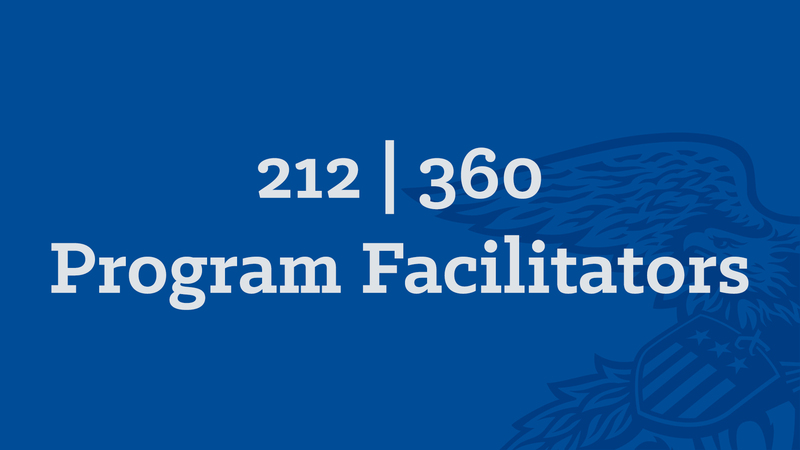 Each year, 15-20 facilitators are hired to independently conduct the 212° and 360° leadership conferences for middle school and high school students. Responsibilities include, but are not limited to: facilitating conference curriculum, providing counsel to participants and motivating students. Previous teaching/facilitation experience is required. FFA knowledge is strongly preferred. 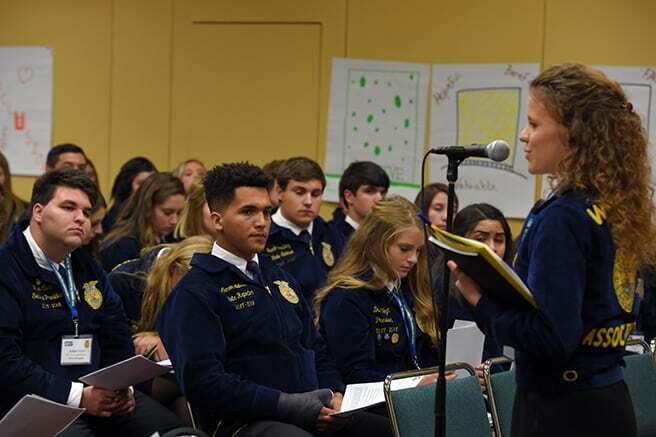 Conference trainers will also handle administrative tasks which include, but are not limited to, timely completion of expense vouchers, scheduling of their conference travel, and correspondence with state and national FFA staff. The conference season follows the academic calendar, and there is required facilitator training generally held in July/August (exact dates will be on the job posting) in Indianapolis. Applicants selected for this position will be ineligible to run for National FFA office. Application requirements generally include a sample facilitation video in front of a live audience, cover letter, resume and references. The video should showcase at least two of the following steps: setting context, giving directions, processing learning, building rapport or making connections with students. Hiring for this position usually occurs in the April/May timeframe with a job posting approximately February through early April. Please visit the 212/360 webpage for more information. Or, visit the careers at FFA webpage. A 4.5 month internship is available at the National FFA Center in Indianapolis each year with the Awards and Recognition team. This position will assist with logistics and planning of the Career & Leadership Development Events (CDE/LDE) for the annual National FFA Convention & Expo. The position will be posted in January and start early July and run through November which would require college students to take the fall semester off. The National FFA Convention & Expo takes place in Indianapolis, Indiana in late October. The CDE/LDEs take place during convention at multiple downtown hotels along with the Indiana State Fairgrounds. These events include over 3700 students competing in the 25 events. Over 2000 committee members, judges and volunteers ensure these events run flawlessly. 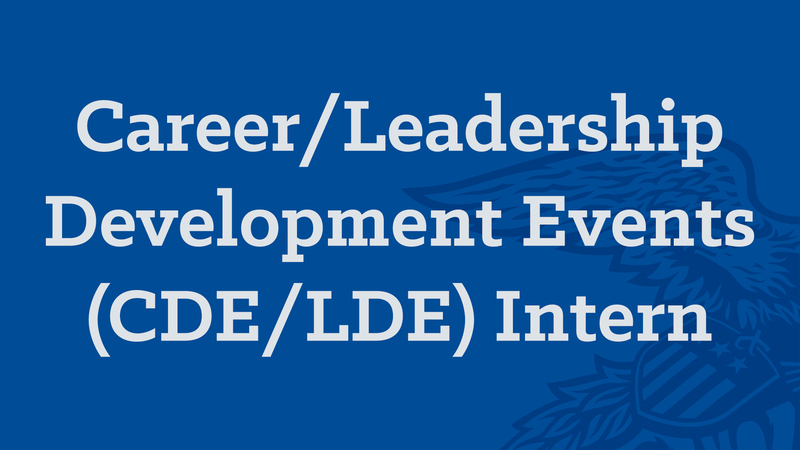 The intern will assist the CDE/LDE Program Manager & Education Specialist to prepare convention materials, finalize travel arrangements, organize portfolios/manuscripts, and communicate with event Superintendents. Exceptional organization and time management skills are critical for this position. Please visit the Careers at FFA page during the posting timeline for more information or to apply. The Convention and Events Management team hires an intern each year with knowledge of event planning to assist with planning and logistics of the National FFA Convention & Expo. Annually the convention is held in late October in Indianapolis, Indiana which brings in over 69,000 attendees. 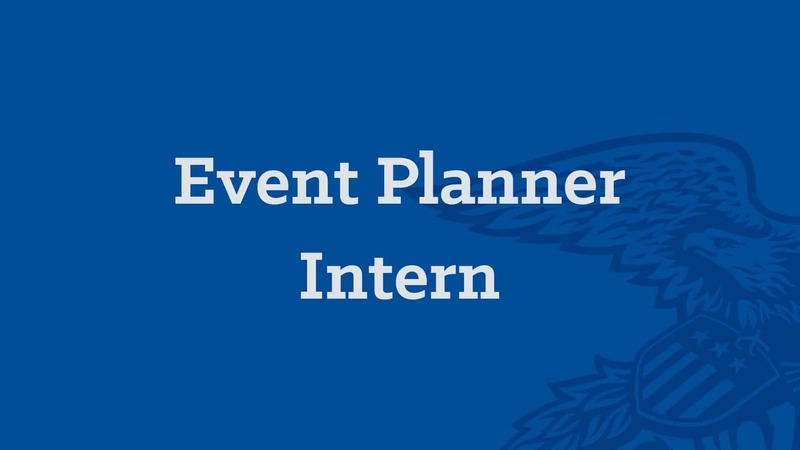 The intern will assist event manager(s) with event orders, logistical planning and execution of different areas within several events and programs delivered during the National FFA Convention & Expo. Applicants should be either currently enrolled or a recent graduate in post-secondary studies, with areas of preferred study including tourism & hospitality, convention, meeting and special event planning. Knowledge of event management systems, design software, previous experiences in event planning & logistics a plus. Participation in professional organizations such as MPI, PCMA, etc. also a plus. 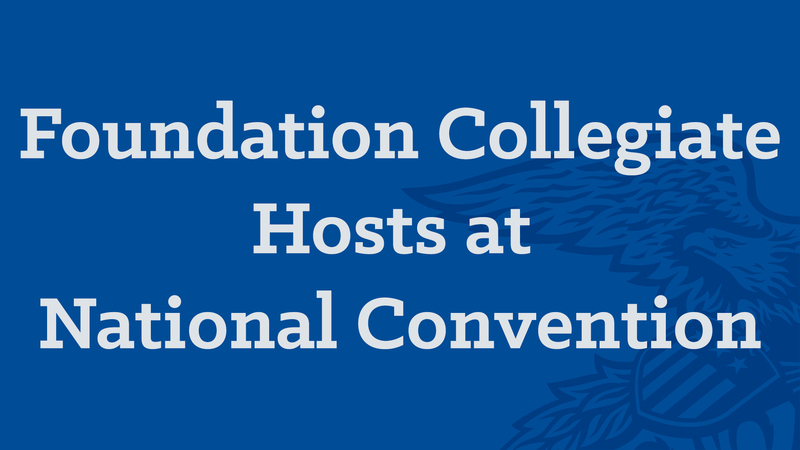 Serving as a Collegiate Host provides an opportunity for college students to host key sponsors and donors at National FFA convention. A team of seven to ten college-aged students will work with high level corporate sponsors and donors to ensure they have a positive experience while attending National FFA convention. 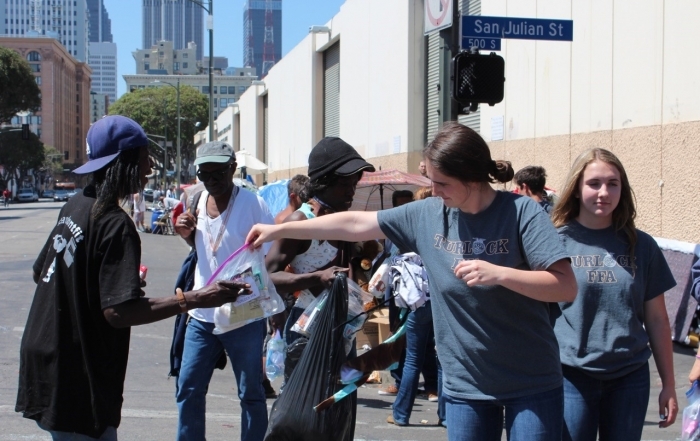 Duties might include but are not limited to: chauffeuring to and from the airport; chauffeuring them to and from convention locations; providing tours of FFA convention facilities like the fairgrounds, the convention center, the fieldhouse and the stadium; explaining various CDEs; and accompanying them to FFA sessions. The ideal candidate would exhibit excellent interpersonal skills, have a sound understanding and knowledge base of the activities that happen at National FFA convention, and available the full week of convention. Travel expenses to and from convention will be covered as well as food and lodging during convention. Applications generally open in June and the team finalized by early August. 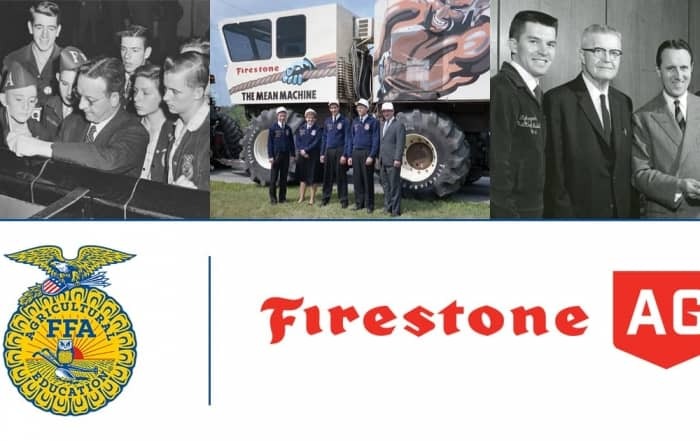 Please visit the Careers at FFA page during the posting timeline for the job posting. 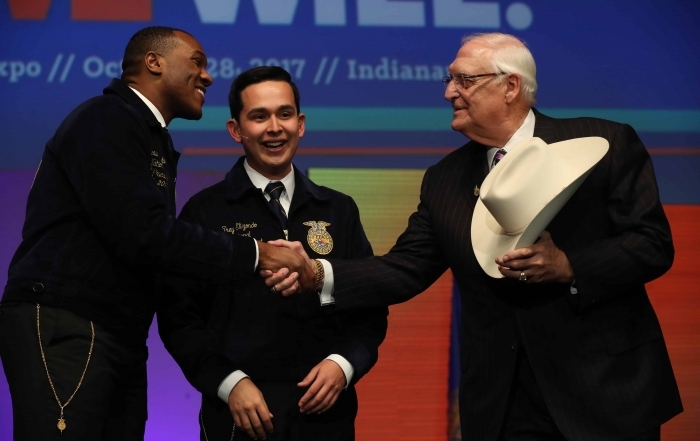 The National FFA Organization will select a team to assist with behind the scenes work in the convention arena at the National FFA Convention and Expo in Indianapolis, Indiana. The arena crew will assist in setting up and tearing down the arena, as well as the staging and execution of all convention sessions. 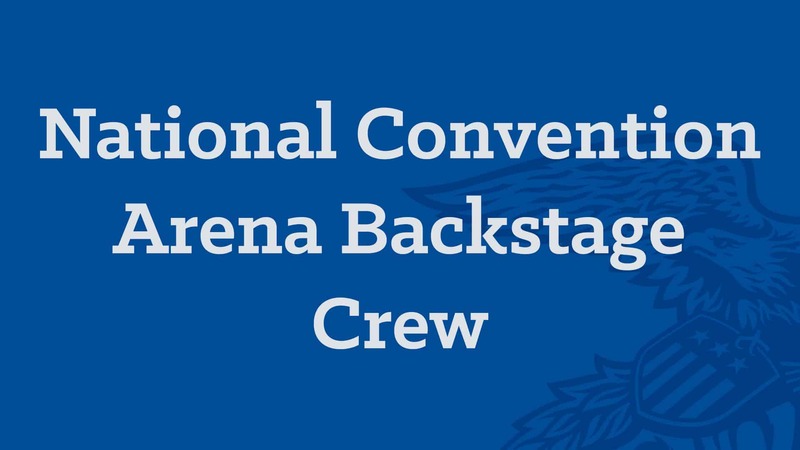 All arena crew will perform a variety of tasks throughout convention set-up, production and tear down. All crew will be required to stand on their feet for long periods of time. All applicants must be able to move freely about the arena, stand for long hours and carry heavy loads up to fifty pounds. In addition, all arena crew members will assist with load in and load out as well as preparing materials for pre-session. Crew members must be able to work in a fast-paced environment. Responsibilities include, but are not limited to, create and prepare props, supplies and materials; award tables prepped and ready prior to each session; marking reserved seating for all sessions; bringing award recipients backstage; line-up and prep of all award recipients and special guests. Specific crew duties will be assigned on-site. Individuals interested in this team must arrive in Indianapolis the Friday before convention and depart the Sunday after. The application will be posted on the career page and is open from April – July. 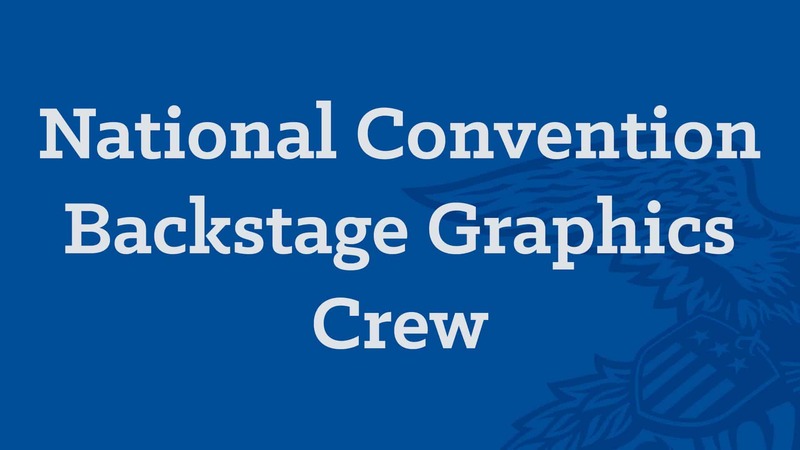 The National FFA Organization will select a team to work behind the scenes in the computer graphics operation during the National FFA Convention and Expo in Indianapolis, Indiana. The graphics team will assist in the creation of the look and feel in the convention arena. Individuals interested in this team must arrive in Indianapolis the Friday before convention for orientation and beginning tasks. Departure is the Sunday following convention. Responsibilities include, but are not limited to, creating and/or updating PowerPoint presentations for convention sessions; collaborating with other graphics crew members to create or adapt graphic still or animated presentations; work with professional technical staff to create and display presentations on the arena projection system. These positions require excellent computer skills, including proficiency with Microsoft PowerPoint and Keynote, experience with Photoshop and other graphics video software, and the ability to work as a team with other arena graphics crew and professional technical staff. 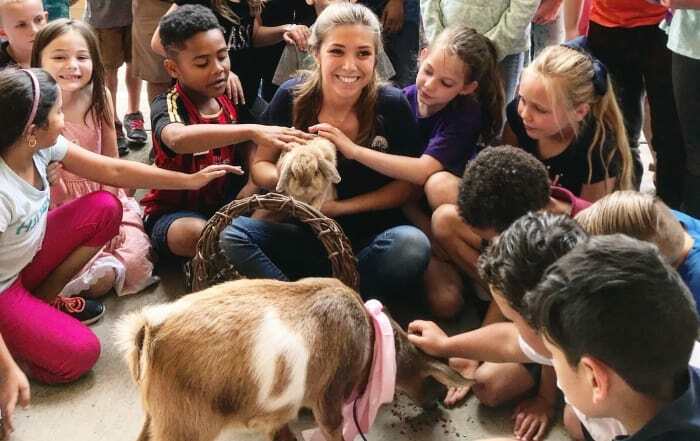 Annually, one, twelve-week internship will run from mid-May to mid-August and will be based out of the National FFA Center in Indianapolis, Indiana working with the National FFA Foundation. Start and end dates of this position generally are negotiable. Over the course of the internship, the intern will assist with various development efforts ultimately resulting in an increase in donor retention and acquisition rate. The intern will also assist with preparations for National Convention. Duties of this position might include but is not limited to: assisting with delivery of donor stewardship benefits; coordinating annual fund and stewardship mailings; coordinating and evaluating events; coordinating written consent for donor publications; assisting with research using online and other available sources in an effort to identify prospective donors; assist with inputting and maintaining information stored in the foundation database; responding to foundation requests and general office support. Hiring for this position generally occurs in the February/March timeframe with a job posting beginning in late January. Please visit the Careers at FFA page during the posting timeframe for sglaser@ffa.org for more information. Primary responsibility is to conduct agricultural conference for college students. Responsibilities include, but are not limited to: teaching conference curriculum, providing counsel and motivating participants. Staff members will also handle minor administrative tasks which include, but are not limited to: completion of expense reports, schedule travel, and regular correspondence with staff. Staff members are required to participate in spring training. The conference is held in July in Indianapolis and training is held in March/April in Indianapolis. Applicants selected for this position will be ineligible to run for National FFA office. Application requirements generally include a cover letter, resume and references. Hiring for this position usually occurs in the March/April timeframe with a job posting approximately February through early March. Please visit the New Century Farmer web page for more information about this production agriculture experience. Or visit the Careers at FFA page during the posting timeline for the job posting. 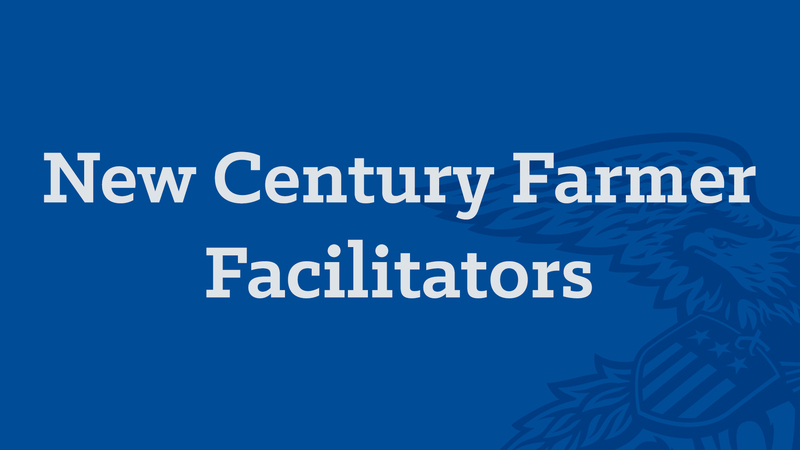 Each year 20-25 facilitators are hired to help facilitate the state FFA officer continuum of in-state experiences. Responsibilities include, but are not limited to: facilitating conference curriculum, offering constructive feedback in a safe environment and providing guidance to participants in areas such as positive influence, conversation skills, team development, public speaking, and workshop development and delivery. The conference season will begin in March and is expected to run year around until the following March. There is a required facilitator training generally held in March (exact dates will be on the job posting) in Indianapolis. Applicants selected for this position will be ineligible to run for National FFA office. This position requires 2-4 years planning and facilitating conferences and workshops or equivalent teaching experience. Application requirements generally include a sample facilitation video in front of a live audience, cover letter, resume and references. The video should showcase at least two of the following steps: setting context, giving directions, processing learning, building rapport or making connections with students. Hiring for this position usually occurs in the November/December timeframe with a job posting approximately October 1 through early November. 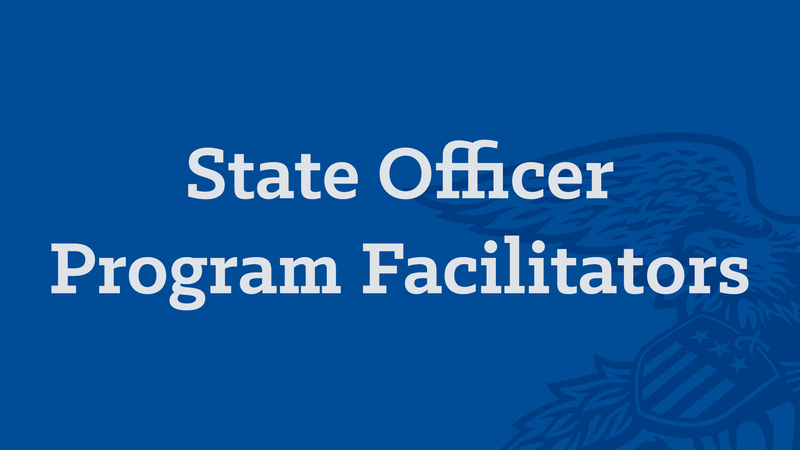 Please visit the state officer continuum web page for more information about in-state experiences. 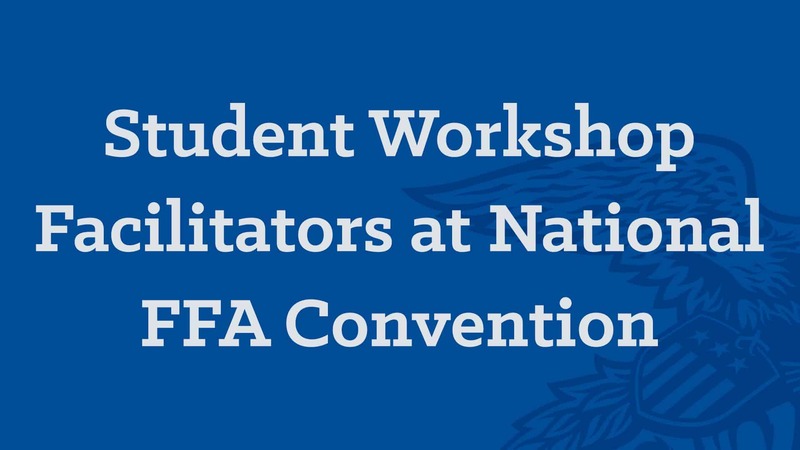 Develop and deliver educational workshops for students at the National FFA Convention & Expo. The application opens in mid-April and closes June 1. Responsibilities of facilitators include but are not limited to serving as room hosts, getting an accurate count of attendees and monitoring the rooms. For more information and a link to the application, email workshops@ffa.org. 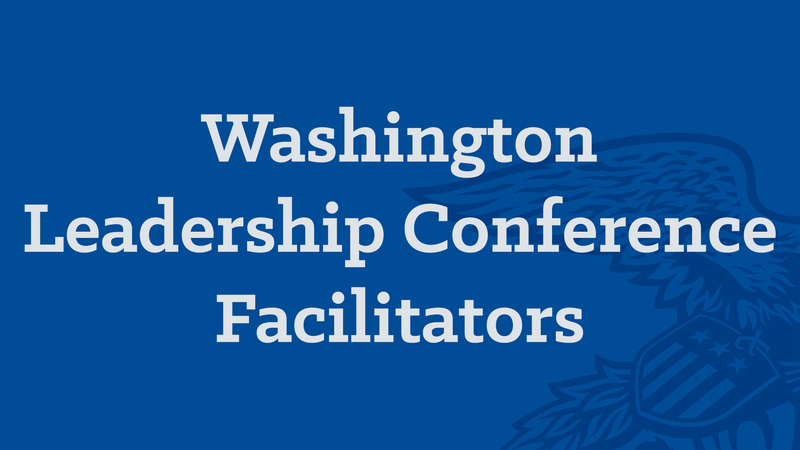 Each year 13 facilitators are hired to facilitate the Washington Leadership Conferences. Responsibilities include, but are not limited to: facilitating conference curriculum, managing the safety of students in Washington D.C., and guiding participants to develop a Living to Serve (LTS) plan. There are two required trainings for staff, both one week long; one in March and one the last week of May. The conference runs for 7 weeks total throughout June and July. There is one break week during the week of the 4th of July. 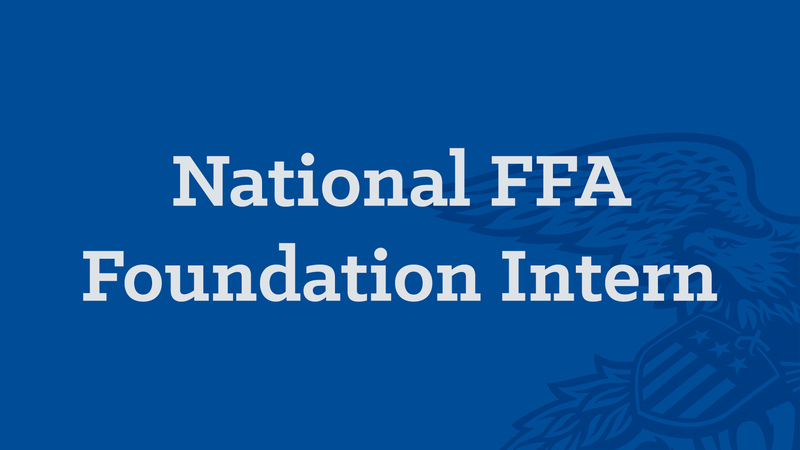 Applicants selected for this position will be ineligible to run for National FFA office. Application requirements generally include a sample facilitation video in front of a live audience, cover letter, resume and references. The video should showcase at least two of the following steps: setting context, giving directions, processing learning, building rapport or making connections with students. Hiring for this position usually occurs in the November/December timeframe with a job posting approximately October 1 through early November. A conference Director and Advisor Program Coordinator are also hired every year. The Director oversee the management of student programming and facilitators, while the Advisor Coordinator manages programing for adults who have registered and opted to participate in their available programming.